There is no shortage of quality affordable mono synths on the market these days. Choosing the right one comes down to a variety of factors: feature set, sound, availability, complexity and, more often than not, cost. 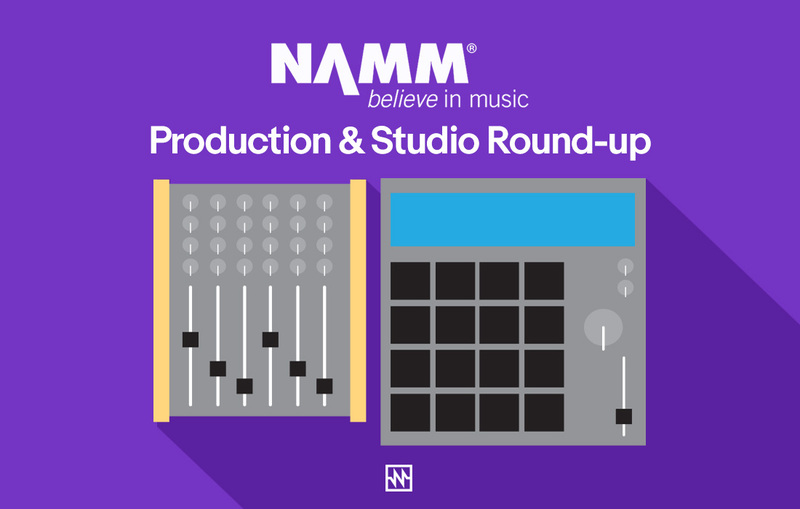 To make the task easier we have compiled a summary of the current sub $1000* offerings from each of the major synth manufacturers. The cheapest mono synth on our list, but don’t let that put you off. The Volca Bass is powerful and packs three awesome sounding analogue oscillators and a step sequencer in a box that the size of your average bag of chips. The Korg Volca series has revolutionised what is possible at this price/size and is the perfect beginner/intermediate synth. 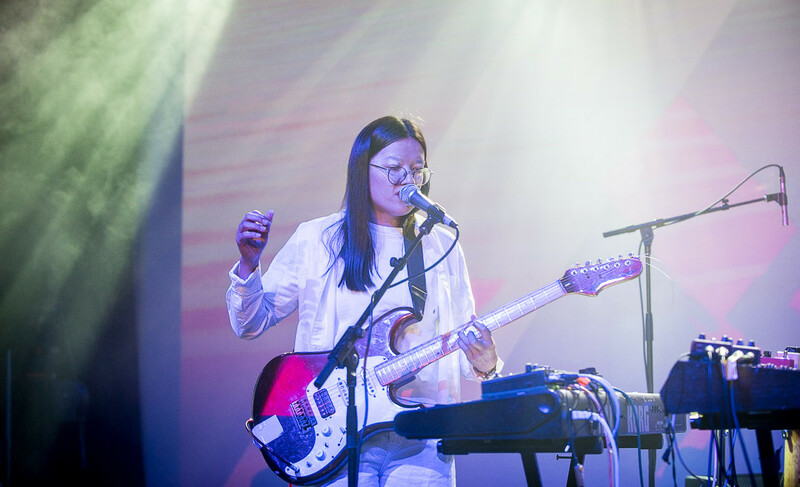 By utilising the Korg Sync it can easily be connected to other Volca units or synthesisers such as the Minilogue and Monologue. It can also be battery powered for maximum portability. When Roland announced several years back that they were producing a bass synthesiser based on the legendary 303, synth heads naturally got pretty excited. The resulting TB-3 was polarising; it didn’t look or feel like the 303. Rather than a keyboard it implements a pressure-sensitive touch pad. Rather than an analogue design, it utilises Roland’s proprietary ACB (Analog Circuit Behaviour) modelling to achieve an ‘analog sound’. Read more about ACB here. Nonetheless, it has the familiar accent, slide, and step sequencer behaviour of the original unit as well as flexible pattern saving and switching options that were not possible with the original. It also includes a ‘Scatter’ function which features slicing, reverse, gating, and other effects. If you are looking for that familiar acid sound with a different workflow, the TB-3 might be for you. 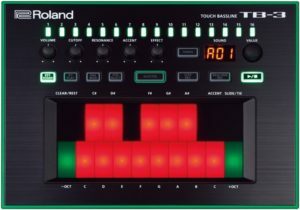 The more appealing budget mono synth offering from Roland comes as a part of the Boutique range. 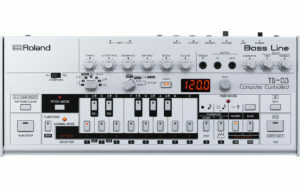 The TB-303 mimics the layout and controls of the original 303, albeit in a more compact form factor. Like the original it is not the easiest synth to program and editing patterns takes some getting used to. It also expands on the original design by adding an LED display, overdrive as well as MIDI and USB ports – the USB also functions as an audio interface. These sold out pretty quickly on release so getting hold of one new can be difficult. 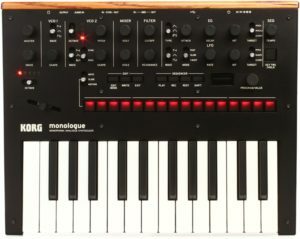 Korg’s latest mono synth offering, the Monologue represents a step up from the Volca bass in terms of both functionality and flexibility. 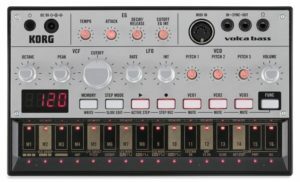 It features a 16-step sequencer with extensive motion sequence capabilities, two analogue VCO’s, unique microtuning functionality and an oscilloscope which visualizes the waveform in real time. It also has a 25 key keyboard (slim keys), and like the Volca it can be battery powered for portability. 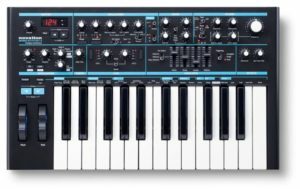 Novation’s Bass Station II is an incredibly affordable, fully featured and modern analogue synthesiser. 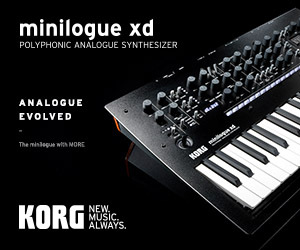 As well your run-of-the-mill 2 x oscillators, LFOs and Envelopes, unique features include an on-board sequencer with a variety of rhythmic effects, filter overdrive and distortion circuits, a filter that’s switchable between low-pass/hi-pass/ band-pass, aftertouch, ring modulation and full MIDI spec’d controls via USB. Whether you’re looking for big and gnarly basses or silky smooth arpeggios, Bass Station’s got you covered. The Microbrute is not lacking in unique design features. While it is a single VCO design, it implements both wave-mixing, and a set of unique modifiers which allow it to produce huge bass lines which belies its compact size. It has a multi-mode Steiner-Parker filter (HP, BP, LP) with proprietary ‘Brute’ knob that adds a distinct saturation and drive to the filter circuit. 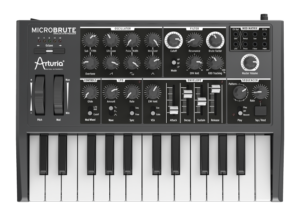 The result is an aggressive sounding synth with an individualised character; this aint no 303 clone! It also contains a small patch bay which allows users to override the default routings; the envelope generator and LFO can be routed to various locations (patch cables are included). This patch matrix makes the Microbrute a great gateway into modular synthesis. 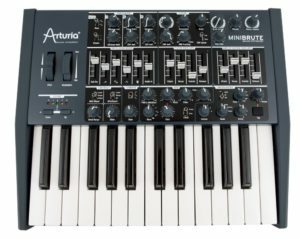 Like it’s little brother, the Arturia Minibrute also implements a similar wave-mixing single oscillator design , plus Steiner-Parker filter with Brute factor. It adds individual filter and amplification envelopes as well as a 25 note semi-weighted keyboard with aftertouch . It also adds a more comprehensive LFO section which can be simultaneously routed to the Pulse Width, Pitch, Filter and Amplifier in varying amounts. The simple sequencer section as found in the Microbrute is replaced with an advanced arpeggiator. A host of CV inputs and outputs allow the synth to be integrated into analogue and modular synth setups with USB and MIDI ports for digital interfacing. It would be heresy to compile any list of monophonic synthesisers without including a Moog. 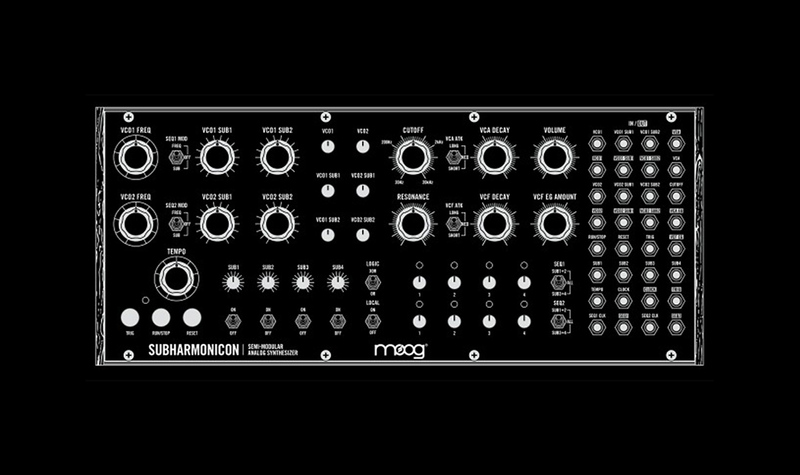 Known for their famous ladder filter and fantastic build quality, Moog have been atop the mono synth pyramid forever, literally. The Minitaur combines that great build quality and filter at lower price-point than its bigger brothers. It is a two VCO design with a simple set of controls on the face plate. 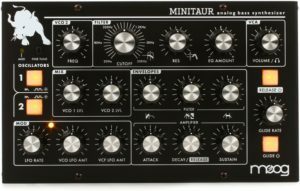 However, this simplicity is expanded with the free Minitaur Editor/Librarian software which allows you to load and save up to 128 presets, select from 6 different modulation waveshapes , engage Hard Sync, access full ADSR envelopes, MIDI sync the LFO, reset oscillator waveform cycles and more. Every feature can be manipulated, automated and recalled instantly. Multiple Minitaur may also be chained together for polyphonic capabilities. 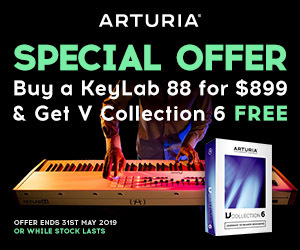 While each of these synths bring something special to the table, we couldn’t go past the price-to-feature ratio of the Monologue. 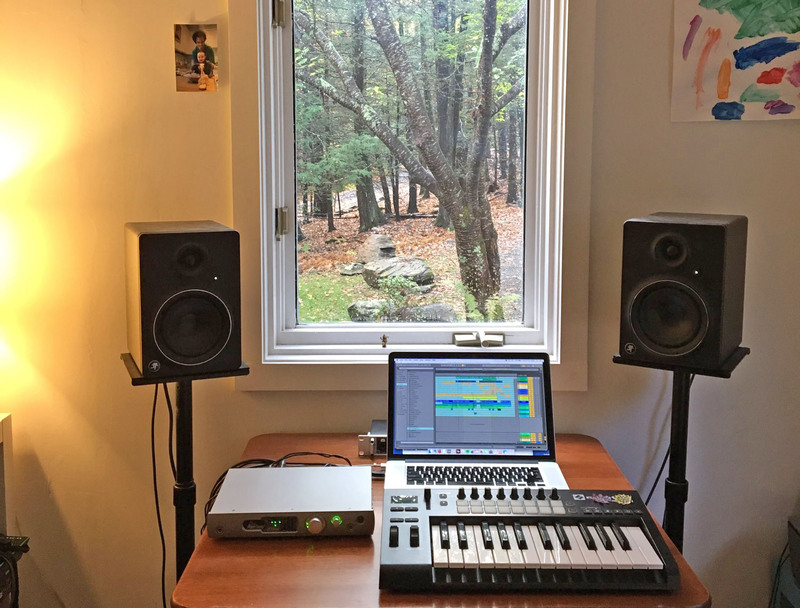 At around $400 AUD you get a synth that sits comfortably in any studio environment. It combines a velocity sensitive keyboard, a powerful sequencer and an oscilloscope with a sweet sounding analogue synth engine. Add in it’s unique microtuning capabilities and the fact that it can be battery powered and it’s hard to top. Oh, and Aphex Twin had a hand in it! * Prices listed are in AUD and reflect the average sale price of items in stores across Australia. They are only provided as a guide.